Snow play is a great sensory experience for children. 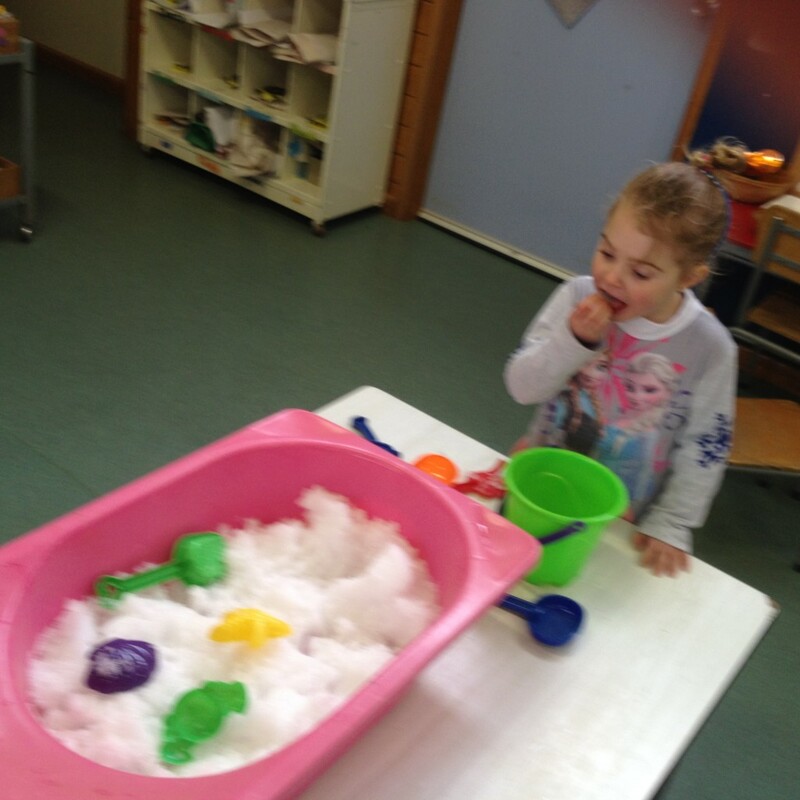 On Tuesday the children had some fresh snow to play with. Before we started playing we had a taste. There were lots of comments about how cold it was. 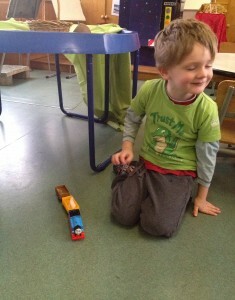 Then we felt it, dug in it and loaded it onto trains and drove it around the room. 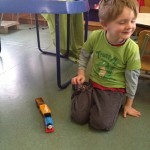 Tao discovered that if he put a snowball in front of his train and set the train going it would leave a pattern on the floor. 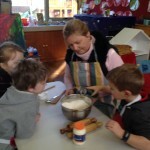 Every Wednesday during Term 3 we have fun with real dough as opposed to playdough. 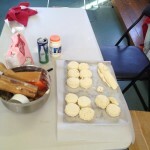 The children have the opportunity to make and manipulate real dough, cook it and eat it. The authenciticy of the activity brings children to the playdough table that would normally avoid it. For our first week we made scones. They were very yummy for morning tea on a cold day. The conservation today revolved around how hard the dough was to mix. Temperance said it was easy. 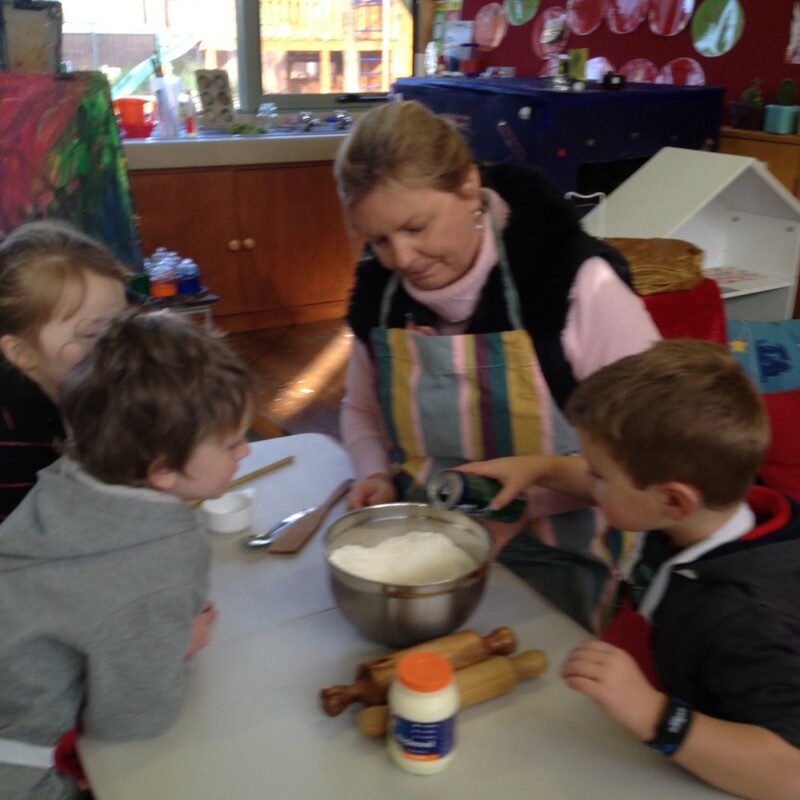 She told us how her Mum taught her to mix by putting her hand on the spoon as well. Tao told us about how he had dreamt about making scones last night. A great reminder about how improtant it is to discuss the next day with the children before they leave the centre. 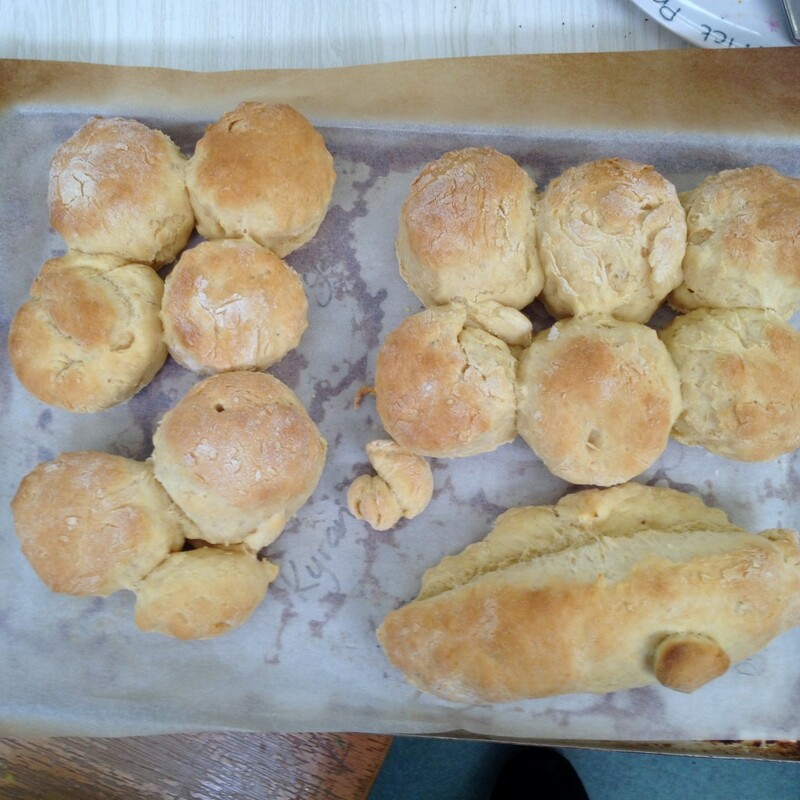 tao was obviously really looking forward to making scones today!